The Federal Aviation Administration (FAA) ordered inspections Wednesday on engine fan blades following a fatal explosion on a Southwest Airlines flight. 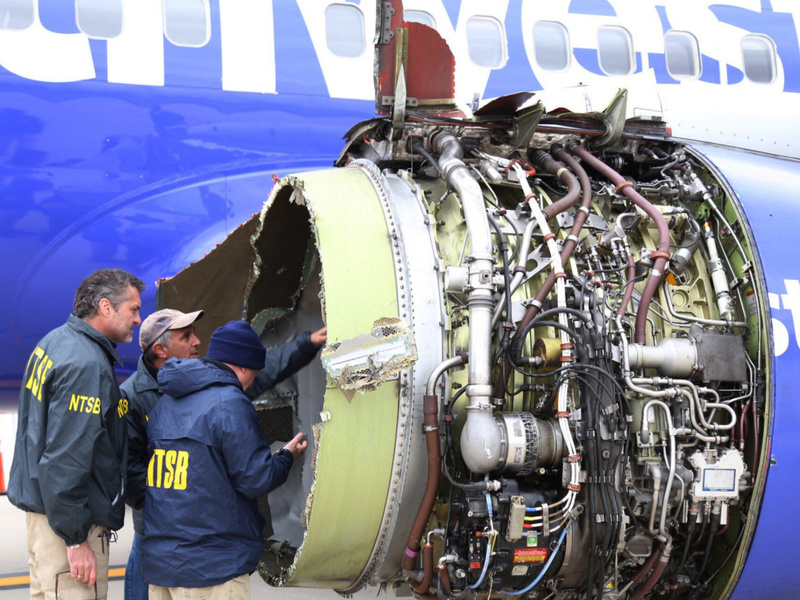 The CFM56-7B engine on the 737 Southwest jet blew apart on Tuesday and resulted in the death of a woman who was partially blown out of the window. The passenger, Jennifer Riordan, died of blunt impact trauma to the head, neck and torso, according to Philadelphia’s medical examiner. We talk to safety experts to examine why one of the fan blades shot off and what does that mean to future airline safety regulations.